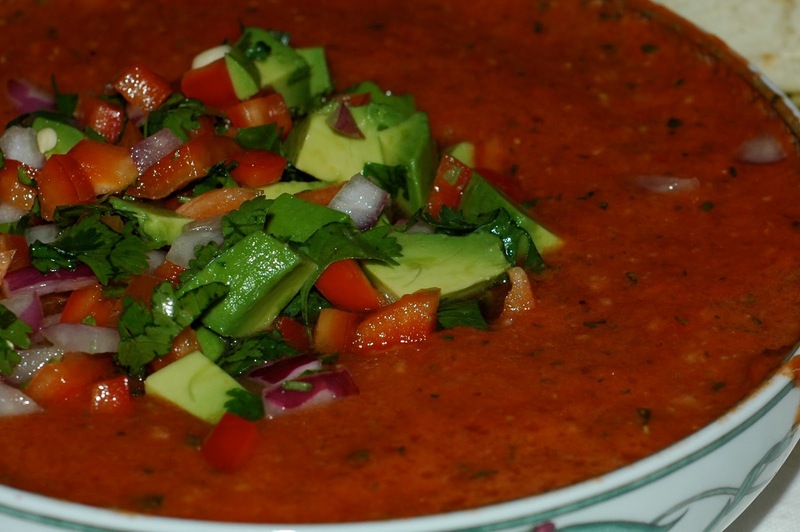 This weekend was so hot that it was nice to enjoy this refreshing cool summer soup. I was going to use this recipe from the August issue of Cooking Light but I really didn't want to make the gazpacho with shrimp. 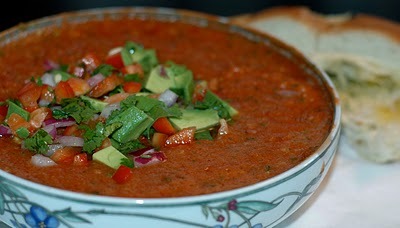 After browsing through some other recipes I found this recipe for Gazpacho with Shrimp and Avocado Relish. I decided to go with this one because the avocado relish looked so good. So, I used this recipe but modified by leaving out the shrimp and I added some zucchini instead. This is a healthy and delicious weeknight meal and we even had leftovers for lunch yesterday. Do you have a favorite meal for a hot summer day? 1. To prepare soup, cook shrimp in boiling water 2 minutes or until done. 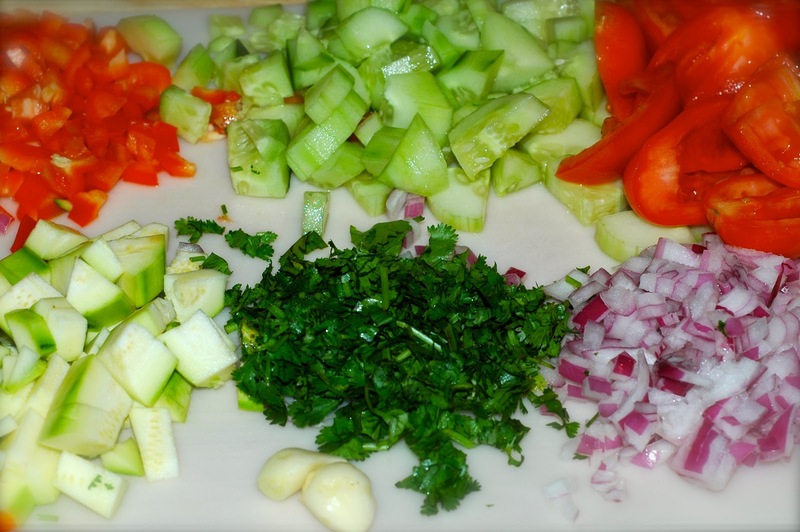 Drain and rinse under cold water; coarsely chop shrimp. 3. To prepare relish, combine 1/4 cup bell pepper and remaining ingredients. Top soup with relish.